WUSA-TV, the Gannett owned CBS affiliate in Washington, D.C. has switched to a new logo along with the new Gannett graphics package. The new look ditches the bold red circle surrounding the number “9” in favor of a more simple, typography based design. To the left, the station’s call sign is spelled out in an all lowercase text treatment, with only the “W” appearing in blue. A gray star, which matches the CBS eye placed to the far right of the logo, appears between the call letters and number. The letters and number also received a slight “shine” effect. Along with the logo change, the station also switched over to Gannett’s simpler graphic’s package. Overall, the new logo is clean yet rather uninspired. 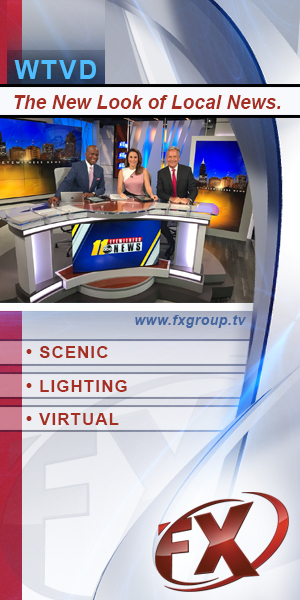 Similar to KWTV-TV in Oklahoma City, which is also channel 9, WUSA-TV has opted to use a simple, almost “out of the box” rendition of the font, though KWTV-TV does take the added step of encasing its number in a rounded rectangle. The practice of simply using a particular font’s letter almost with no modification is certainly a simpler approach, but it typically lacks the refinement and energy of a number that’s either custom drawn or modified to emphasize certain curves and serifs. Great design is often about the details, and simply opening up Illustrator and typing a number seems to be a bit of an easy way out.